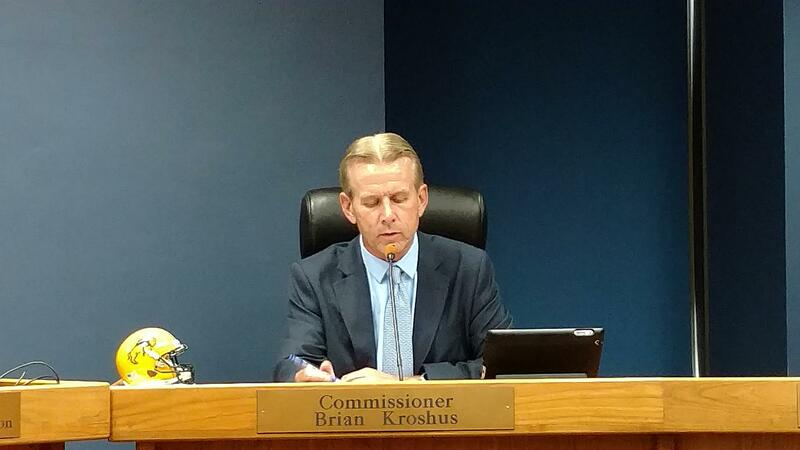 Public Service Commissioner Brian Kroshus. MDU natural gas customers will be getting a one-time credit on their monthly bills. But that will only happen after MDU’s rate increase case is finally settled. In July, 2017, MDU filed for a rate increase that would raise the basic cost of gas service – that is,the charge customers pay before they actually pay for the gas itself – by $2.98 a month. The North Dakota Public Service Commission granted the utility an interim increase, allowing that charge to go up by $2.44 a month. But then, after MDU’s savings from the federal tax cut, that increase worked out to $1.81. Now, a proposed settlement agreement would peg the final increase at $1.27 a month, meaning customers would get a one time credit for the amount they over-paid. But there’s still an outstanding issue: MDU wants the PSC to approve a surcharge on customers’ bills. That money would be used to fix the infrastructure used to get the natural gas to customers. It would be a different annual amount. PSC staffers and MDU could not agree on that rider. The PSC has opened a window for anyone who wants a hearing on this. Kroshus said one of the interveners – the Minot Air Force Base – has signed off on the basic agreement, but another – AARP – has not. The deadline for seeking another hearing is September 11th. AARP has filed with the Public Service Commission to formally intervene in the latest Montana Dakota Utilities Company’s natural gas rate increase. "This is the third natural gas rate increase for MDU in the last 4 years," said AARP state president Josh Askvig. MDU is asking to raise its rates by 5.4 percent. That would mean $5.9 million. MDU will do this by raising the fixed rate cost – the cost charged just to bring the natural gas to the home. It would bring that cost to $22.58 a month. Askvig said four years ago, the charge was $9 a month.